So…When Do They Stop Drinking Formula? When Is It Safe To Say You Can Start Weaning Your Baby From Formula To The Basic Food Groups? ​So…Should You Still Give Your Baby Formula Even If You Started Giving Her Other Types Of Food? 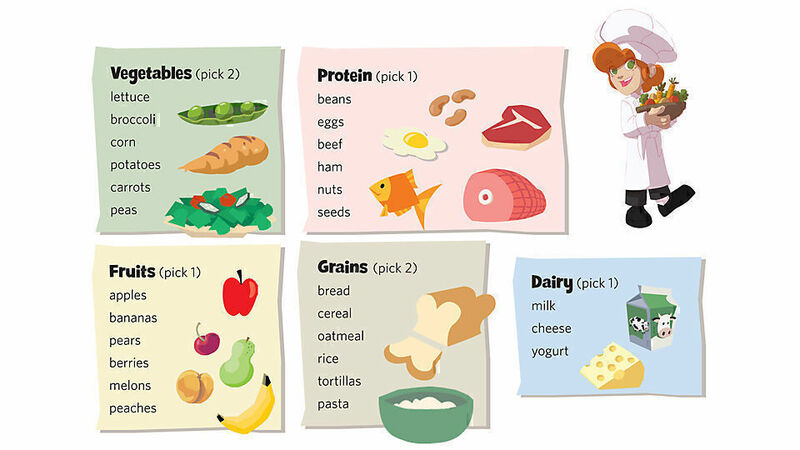 What Is The Recommended Dietary Allowance For Toddlers? 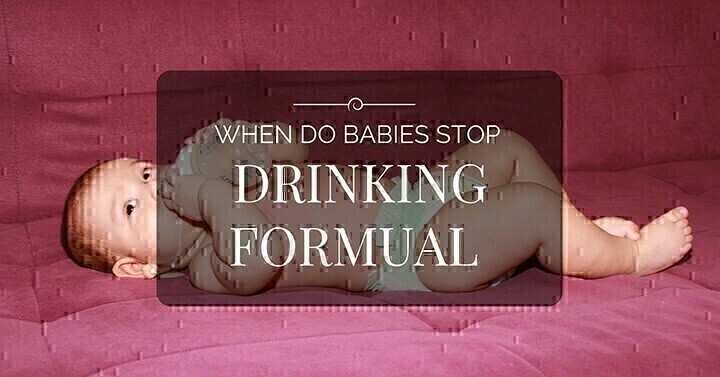 →When Do Babies Stop Drinking Formula? Having a baby is one of the life’s most wonderful gifts. It is a milestone – and once you have reached this milestone, there is not turning back. If you are a first-time mother, I am quite sure that you are having a lot of apprehensions and uncertainties about raising your kid, and more so if you have a new-born baby who cannot really explicitly express through words what they feel and can leave you second-guessing what his or her crying is for. At the beginning, of course, you would have to breastfeed your baby and stick to a good baby formula so that you can feed him or her. As a first-time mother, though, one question will be nagging at the back of your mind: when do babies stop drinking formula? As soon as your baby reaches her first birthday, it is safe to assume that you can start giving her food from the basic food groups. You just need to make sure that you do the proper process in weaning her from baby formula and introducing her to solid food. As soon as your baby reaches her 6th month, you can start weaning her from the formula. The sooner that you start introducing her to different flavours and different textures, the better. ​For a start, you can start feeding her smooth fruit purees and soft boiled vegetables, like mashed potatoes. Mashed avocadoes is also a great choice because avocadoes are jampacked with nutrients that your baby needs in order to grow up healthy and strong. Carrots is a healthy option also. Just keep in mind that at this stage, you need to make sure that you give her food that she can chew without any problem since at this age, she will start gumming and having teeth, and it can be a painful process for her. Yes, you need to still do that. Recommended daily intake is 500-600 ml of formula milk until she turns 1. There is no need to give her any other supplements since all baby formulas already contains the government-recommended dosage of vitamins. As soon as your baby turns 1, you can stop giving her formula milk and switch to full-fat cow’s milk, instead. You should make sure that you DO NOT give her cow’s milk before she turns 1 since she cannot digest it completely yet. For proper growth and optimal energy, toddlers should ingest 1000 calories per day. You should make sure that these calories come mostly from natural food and avoid processed food. The body will be able to recognize the natural foods easily and channel the nutrients to the proper body parts. On the contrary, if you feed your baby processed food, the usual outcome is obesity, since the body will have a hard time processing it and will end up being stored as fat. Before making the big switch from formula milk to other types of milk and solid food, make sure that you consult your paediatrician to be on the safe side. Remember, not all babies are equal! Most of the time, you will be asked to switch to milk that is full of Vitamin D. This is to ensure that your baby maintains normal weight gain. In some instances, though, especially if you child is at a risk of being overweight, your paediatrician will advise you to take reduced fat milk, instead. In cases of lactose intolerance, your paediatrician will recommend soy milk and other alternatives. Limit your child’s milk intake to not more than 32 ounces per day according to Healthychildren.org. This is already enough to for optimal overall development. One challenge is introducing your child to drinking from a cup. To overcome this, once your child reachs 6 months, you can start giving him water or formula by sipping from a cup. This is in addition to bottle feedings. Even if you have a sloppy start, practice will, eventually, make perfect. By the time he reaches his 1st year, he will already be having the necessary motor skills to actually start drinking from the cup, and by the time your child reaches 18 months – which is the recommended age by the American Academy of Pediatrics to start weaning her from bottle use to cup use – she will be a pro. It is important to keep in mind that at the end of the day, you need to make sure that your baby gets the right amount of nutrition with the right type of food. Make sure that you feed your child a balanced diet from the 5 basic food groups. Go natural as much as possible, and before you know it, your child will be able to also develop an eating habit that is healthy, just enough, and as well-rounded as possible.